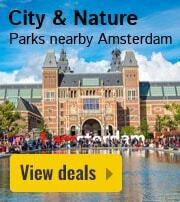 Vakantiepark Arnhem in Schaarsbergen - the best offers! 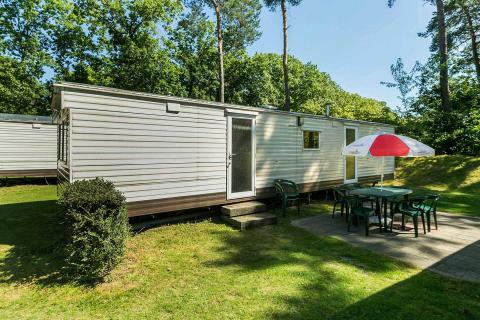 This price applies to 4-person mobile home/caravan Veluwe, with the arrival as 16 May 2019, 3 Nights. 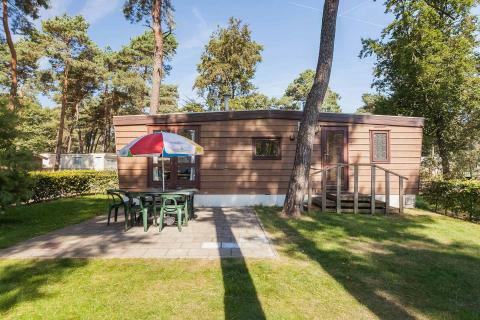 This price applies to 5-person mobile home/caravan Veluwe, with the arrival as 3 June 2019, 2 Nights. 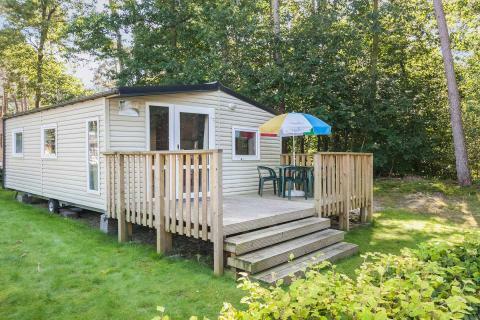 This price applies to 4-person mobile home/caravan Heinchalet, with the arrival as 3 June 2019, 2 Nights. 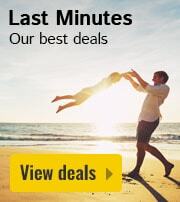 This price applies to 6-person mobile home/caravan Reeënveld, with the arrival as 3 June 2019, 2 Nights. 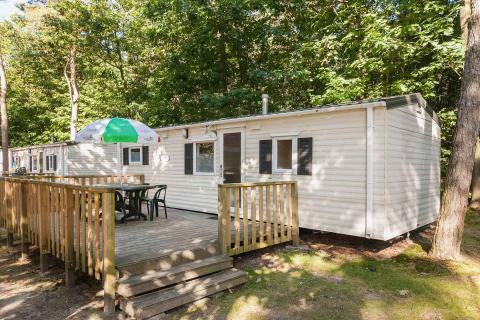 This price applies to 6-person mobile home/caravan Eldorado, with the arrival as 3 June 2019, 2 Nights. Pets are always on request. Please make your request clear when booking, and the park will take it into consideration, The surcharge for bringing a pet is €5 per pet, per night and an extra cleaning fee of €10. 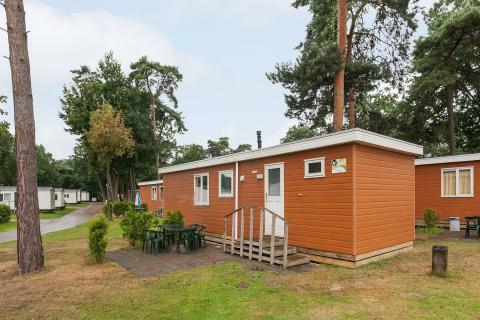 Vakantiepark Arnhem is near the Hoge Veluwe National Park and is an excellent base for cycling and hiking trips. You will also find many recreational opportunities at the park. 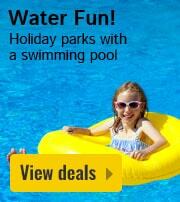 Swim in the pool, play a round of tennis or discover the fun of miniature golf. 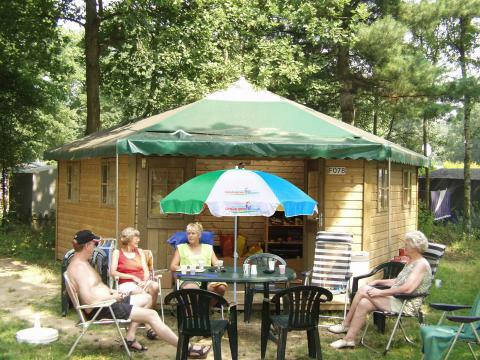 Vakantiepark Arnhem features an outdoor swimming pool and an indoor pool for rainier days. For the smaller guests, there is also a separate children’s pool with plenty of toys and a slide. 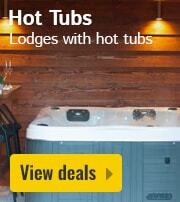 At the pool, you will also find various leisure facilities including a sauna, Turkish bath and whirlpool. Sports enthusiasts will also be at home here. Enjoy a game of tennis, volleyball, football, basketball or mini-golf. For children, there is an entertainment programme including various sporting activities, craft mornings and treasure hunts! There is also a bouncy castle, playground and large pirate play area! The Café/Restaurant serves drinks, snacks and full meals. During holidays you can enjoy entertainment alongside your meal! For hiking and cycling holidays, you are at the right place in the Veluwe. Rent a bicycle at the park and explore the area. The nearby city of Arnhem guarantees plenty of entertainment in the form of museums, shops and fine dining. The Museum of Modern Art in Arnhem showcases celebrated artworks from 1900 onwards. Also discover the underground with a tour of the Anhem’s century-old cellars, 32 of which are to be found below the main shopping street. The small alleys also offer a unique shopping experience, with plenty of vintage boutiques and second hand outlets. In the evening you can go to the Korenmarkt, where you’ll find restaurants, cafés and nightclubs. Groups and businesses can only stay at the park on request. 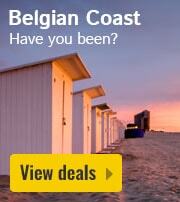 If your request is accepted, a deposit of €50 per person is required. For most preferences and requests, a surcharge of €16,50 is applied. You can find these charges on the invoice from the park. Pets are always on request. Please make your request clear when booking, and the park will take it into consideration. 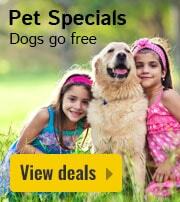 The surcharge is €5 per pet, per night and a €10 cleaning fee.